This is part of an ongoing effort by the members of the Blandings Yahoo! Group to document references, allusions, quotations, etc., in the works of P. G. Wodehouse. Heavy Weather is in the process of being annotated by Deepthi Sigireddi, with contributions from Neil Midkiff. It is a direct sequel to the 1929 novel Summer Lightning (US title: Fish Preferred), and in story time it takes place some ten days later. Heavy Weather was first published on July 28, 1933, by Little, Brown, and Company, Boston, and on August 10, 1933, by Herbert Jenkins, London. It was serialized in the Saturday Evening Post prior to book publication; see this page for details of serial appearances. These annotations and their page numbers relate to the Penguin paperback edition, in which the text covers pp. 5–249. A major street in London. It became known for printing and publishing in the 16th century. Many newspapers had their offices there until the 1980s. Norman Murphy traces the original of this to Amalgamated Press, owned by Lord Northcliffe. This is Lord Tilbury’s fourth appearance in the canon. We first meet Lord Tilbury as Sir George Pyke in Bill the Conqueror. He’s about to be elevated to the Peerage and has chosen the title Lord Tilbury. He also appears in Sam the Sudden. In Summer Lightning, he’s mentioned as the owner of Society Spice, the magazine Percy Pilbeam used to edit. Norman Murphy (in A Wodehouse Handbook, vol. 1) is convinced that Lord Tilbury is based on Alfred Harmsworth, later Lord Northcliffe. According to him, in 1902, Northcliffe controlled over half the newspapers and magazines in the UK. The newspapers were run from Carmelite House and the magazines from Northcliffe House, both of which were both in Carmelite Street, off Fleet Street. Lord Tilbury runs his publishing empire from Tilbury House, similarly to how Lord Northcliffe ran his magazine empire from Northcliffe House. A seaside city in southwestern France. The casino (opened in 1901) and the beaches made it a popular tourist destination starting in the 19th century. In Summer Lightning, we hear that Galahad is writing his Reminiscences. Lady Constance and Sir Gregory want to stop him from publishing them, and he agrees on the condition that Ronnie Fish be allowed to marry Sue Brown. A cockney slang word meaning God. Lord Tilbury has grown a bit since Bill the Conqueror. In the first chapter of that book, he’s described as being twenty pounds overweight. Napoléon Bonaparte was Emperor of the French from 1804 until 1814 and again in 1815. The British press portrayed him as short and round and that has led to the stereotype of a short person who is overly aggressive in order to compensate for an inferiority complex. Napoléon was actually of average height for his time. Cumberland is a county in North West England (only Northumberland is farther north), whereas Cornwall is in the south west. A picturesque way of saying ‘all along the length of England’. This is Wodehouse’s twist on the idiom ‘skeletons in the cupboard’. In American English, it usually takes the form ‘skeletons in the closet’. It means a set of facts about someone that if revealed might lead to scandal. Apparently these skeletons had been in their cupboards for a long time. This seems to be a play on the more common expression ‘a veritable storehouse of knowledge’. It is unknown whether Wodehouse got this from an actual critic’s review. The 7th Baronet had been friendly with Galahad when they were both young men about town. By the time of Summer Lightning, he’s a solid citizen vying for a seat in Parliament. The angel who records all the good and bad deeds committed by men, and presumably these records are used by St. Peter at the pearly gates to decide who gets admitted. A gossip magazine owned by Lord Tilbury which used to be edited by Percy Pilbeam, and by Lord Tilbury’s son Roderick Pyke before him. Percy Frobisher Pilbeam is first introduced in Bill the Conqueror along with Lord Tilbury and his family. He rises to editor of Society Spice before resigning to start a Private Inquiry Agency. French, literally ‘success of scandal’. Something that is successful due to its notoriety or scandalous nature. A boy servant in livery (uniform), a page. Akin to an office boy. Essentially someone to run errands in an office or stately home. Montague (or Montrose) Bodkin is Sir Gregory’s nephew. This is his first appearance in the canon, followed by two novels (The Luck of the Bodkins and Pearls, Girls and Monty Bodkin) in which he’s one of the main male characters. Doing something difficult but balking at something much easier. Possibly a reference to Otto von Bismarck, who gave a famous speech in 1862 called the ‘Blood and Iron speech’ while he was Minister President of Prussia. Bismarck was famously strong-willed and outspoken. Lord Tilbury had intended to be ‘strong, brusque, decisive’ with Lady Julia. This sounds like a play on the name of an orphanage (home for orphans etc.). Elsewhere in the canon, PGW mentions two other magazines published by Tilbury House: Home Chat in A Damsel in Distress and Pyke’s Home Companion in Sam the Sudden. So maybe Tilbury means that though he publishes various Home magazines, he’s not actually running an asylum for the lovelorn. Jimmy Dumps is a cartoon character created in 1901 for advertising Force cereal, a wheat flake cereal. He is supposed to be a gloomy person who is transformed into Sunny Jim after eating the cereal. In milder usages, figurative, meaning to deceive. Here it is a jocular reference to gangster slang for an out-of-the-way killing. But in a sinister and the original sense the person taken for the ride rarely returns. The expression was of underworld origin, coined in the United States during the wave of criminality after World War I, when rival gangs of law-breakers waged warfare on each other. Anyone incurring the displeasure of a gang chieftain was likely to be invited by a henchman to go for a ride in the car of the latter, ostensibly to talk matters over and clear up the misunderstanding. The victim rarely returned from such a trip; his body might later be found by the police—or might not. In some workplaces, workers literally punch a timecard using a time clock. But this can also mean doing the minimum necessary to keep the job, i.e., showing up at work for the requisite amount of time but not accomplishing much actual work. 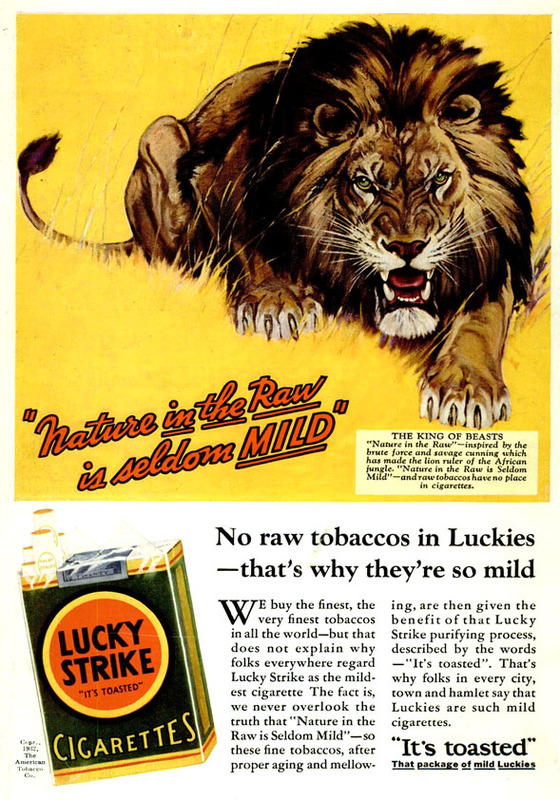 This phrase appeared in several Lucky Strike cigarette advertisements in 1932–33 (Heavy Weather was published in 1933). The ad at right appeared in the December 1932 Popular Mechanics. According to the Bedfordshire Archives & Records Service, there was an actual Lady Wensleydale who died in March 1879. The 1st Baron Wensleydale (born James Parke) was created Baron of Wensleydale, of Wensleydale (a life-peerage) circa 1855. This was later changed to a hereditary peerage as Baron of Wensleydale, of Walton. If this lady was his relict, then her name was Cecilia, not Jane. The Barony of Wensleydale is extinct because the 1st Baron had no male heirs. Wensleydale is one of the Yorkshire Dales in North Yorkshire, England. It is famous for its cheese by the same name. It is not known whether Lady (Jane) Wensleydale is based on the lady of that name, or on the cheese. Norman Murphy suggests in The Reminiscences of Galahad Threepwood that the original for Lady Carnaby/Wensleydale/Bablockhythe is Adeline de Horsey, countess of Cardigan and Lancastre. She was for many years the mistress of Lord Cardigan of the Charge of the Light Brigade, marrying him after the death of his first wife. After his death, she married the Portugese Comte de Lancastre. Her book My Recollections appeared in 1909. Wensleydale is one of the titles Lord Tilbury considers and decides against in Bill the Conqueror. Mayfair is an affluent area in the West End of London. It used to be mainly residential and housed upper class families until World War I, after which many of the largest houses were converted into foreign embassies. It attracted more commercial development after World War II and is now primarily commercial. To the rigid form it seemed that life came back . . . This was a poem PGW quoted in several of his novels. See A Damsel in Distress, Summer Moonshine, How Right You Are, Jeeves (ch.13), Three Men and a Maid (ch.7), Very Good, Jeeves (ch.6), Bill the Conqueror, etc. Could this be a reference to Winnie-The-Pooh? Ch. 10 in The House at Pooh Corner is titled In which Christopher Robin and Pooh come to an enchanted place, and we leave them there. The House at Pooh Corner was published in 1928, Heavy Weather in 1933. A motorman is a person who operates an electric tram, trolley or train. (S)he’s in charge of the electric motor, similarly to an engineer on a rail engine. A motorman’s glove would probably not taste very good, what with all the motor oil it has to be around. from an authoritative or dependable source. Probably Stow-on-the-wold, a small market town in Gloucestershire, England. Literally a parrot. Figuratively, a vain or conceited person, especially one who dresses extravagantly. To Lord Tilbury, letting himself be worked for a job is a sin. Further references to Judgement Day, also known as the day of reckoning. Adjective used to describe someone who is supple and graceful. A gentlemen’s club in London that PGW used as a recurring location in many stories. 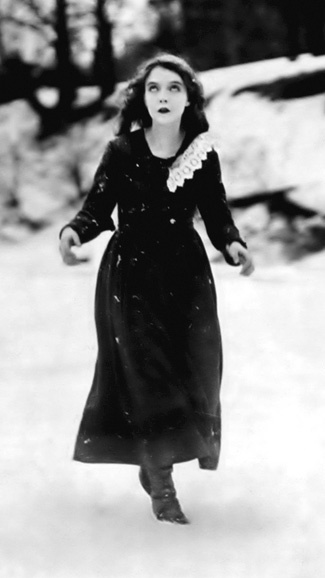 The first mention is in Jill the Reckless (1921), and the last in Pearls, Girls and Monty Bodkin (1972). A shortening of spatterdashes or spatter guards. A footwear accessory worn to cover the instep and ankle. Spats were popular in the late 19th century and early 20th century. Napoleon Bonaparte appointed a total of 26 Marshals of the Empire, with 14 of them being appointed in the first promotion in 1804. Some of them were relatively obscure generals who had never held significant commands. Who’s the man that says that we’re all islands shouting lies to each other across seas of misunderstanding? Similar to ‘could have sworn.’ Historically, people were required to swear on the Bible and take an oath while assuming public office, or while giving evidence in a public court. A British slang word meaning “God” in cockney English. small and delicate, with a mischievous charm. variation of ‘man about town.’ PGW coined the phrase but didn’t use it again. In the United Kingdom, the Emergency Powers (Defence) Act 1939 allowed the Government to issue Defence Regulations as needed to prosecute war effort during the Second World War. Order 938 issued in 1940 under this law made it a criminal offence to spread ‘alarm and despondency.’ There was debate in the House of Commons about the exact legal meaning of the phrase. Each Defence Regulation had its own expiration date. This particular order expired shortly after the end of the European phase of the war in 1945, though the last of the Defence Regulations expired only on 31 December 1964. The most significant battle of the Great Sioux War of 1876 in North America. Lieutenant Colonel George Armstrong Custer suffered a significant defeat at the hands of the Lakota, Northern Cheyenne, and Arapaho (peoples and tribes of Native Americans). Custer was killed in the battle. Colloquially used to signify an all-out last effort in a losing battle. used to indicate that a situation is complicated and affected by secret or indirect influences. The appearance of the wheels and their work was like unto the colour of a beryl: and they four had one likeness: and their appearance and their work was as it were a wheel within a wheel. This is Gertrude’s first appearance in the canon. She also appears in The Luck of the Bodkins and Pearls, Girls and Monty Bodkin. How long wilt thou sleep, O sluggard? When wilt thou arise out of thy sleep? Yet a little sleep, a little slumber, a little folding of the hands to sleep: So shall thy poverty come as one that travelleth, and thy want as an armed man. During the French Revolution (1789–99), people that had been sentenced to death by guillotine were transported to the site of execution by tumbril – an open wooden cart that could be tilted backwards for unloading. For a long time after the arrival of peace they will feel like orphans driven out into the snow. The whole thing reminded me of one of those melodramas where they drive chappies out of the old homestead into the snow. She shot a swift glance sideways, and saw the dark man standing in an attitude rather reminiscent of the stern father of melodrama about to drive his erring daughter out into the snow. See Leave It to Psmith (1923). See Ice in the Bedroom (1961). Wealthy. See the note a page or so earlier, under bowels of compassion. Rupert Baxter first appeared in Something Fresh in 1915. Also known as The Efficient Baxter, he’s Lord Emsworth’s secretary and the comic villain that the protagonists have to circumvent to achieve their ends. He reprises this role in Leave It to Psmith. He also appears in Summer Lightning, Uncle Fred in the Springtime, and the long short story “The Crime Wave at Blandings” (collected in Lord Emsworth and Others in the UK and in The Crime Wave at Blandings in the US), and is recalled in The Brinkmanship of Galahad Threepwood/Galahad at Blandings. At the end of Leave It to Psmith, the second book in the Blandings series. Telephone numbers in the UK in the early 1900s had a three-letter exchange code followed by the phone number. The exchange code was usually (but not always) the first three letters of the exchange name. While placing a call through an operator, the practice was to say the full name of the exchange followed by the phone number. A dwelling house with outbuildings and land assigned to its use [OED]. O’er all the pleasant land! A broad flat collar of a type characteristically worn by Quakers. A Quaker is a member of the Religious Society of Friends. Market Blandings is situated in Shropshire. Norfolk is almost exactly due east from Shropshire. An unusual metaphor apparently coined by PGW. The pig referred to here is that pre-eminent pig, the Empress of Blandings. One of Lord Emsworth’s ten sisters in the canon. Good reviews of plays in the newspapers were called “favorable press notices.” Bad reviews – “unfavorable press notices.” Mixed press meant that some were good and some were not. This is an American idiom rather than a British one. It is first recorded in 1871, in a book by L. H. Bagg called Four Years at Yale. One of the meanings is to make things extra formal, which is presumably the sense in which it is used here. PGW presumably means jealousy, though the more accurate reference would be to vengeance. Whose touch had turn’d his very soul to sin. Before the altar which to vengeance glow’d. For vengeance was awake, – can vengeance sleep? The reckless wretch abandon’d to his pow’r. Where thoughts of wild revenge are thoughts of bliss. A reference to Queen Elizabeth I, presumably meaning imperious. In Anglican weddings, the betrothed couple faces the pastor at the altar rails at the beginning of the wedding service. A rare breed of pig originating in the county of Berkshire, England. Term used in 1930s American slang to mean a criminal boss. Here Sir Gregory is the boss. The Gay Nineties (US) / Naughty Nineties (Britain) was a nostalgic name for the 1890s that became common during the 1920s. It is unclear whether the reference is to the Three Musketeers (Alexandre Dumas) or to something else. London streets were illuminated with gas lamps starting in the early 1800s. Starting in the early 20th century, most of the streetlights were replaced with electric lights but there remain around 1500 gas lamps which are still operational. Painting the town red is an American slang expression meaning to celebrate in a wild, rowdy manner, especially in a public place. Sparkling mineral water from the springs at Vichy, France. The waters from Vichy were believed to have medicinal properties. A promotional pamphlet advertising their qualities. A number of German resorts were popular in the late 19th and early 20th centuries for treatment of various ailments with thermal waters a.k.a. hot springs. Some of the well-known ones include Baden Baden and Wiesbaden. Baden Baden, for instance, has a long history as a hot springs spa, starting in Roman times and continuing until modern times. a wheelchair, esp. of the hooded kind used by invalids visiting the spas at Bath, England; not “a chair for bathing in”! Pierre Jacques Étienne Cambronne, later Pierre, Viscount Cambronne, General of the French Empire is reported to have said this during the Battle of Waterloo. PGW is paraphrasing here. The original couplet is by R. L. Stevenson. Pineapple-shaped hand grenades were used by both British and American military. The British version was called the Mills bomb and the American version was called Mk 2 or Mk II. The Pelican Club was “the most raffish of London clubs, which flourished from 1887 to 1892.” Norman Murphy has a wealth of detail about the club’s history and its members in his Handbook. One of the three main characters in an American “minstrel show” or “minstrelsy”. Mr. Bones was played by a white male in blackface and rattled the ‘bones’ (a pair of clappers). Mr. Tambo (also in blackface) played the tambourine, and the interlocutor (in whiteface) asked the questions. At Dulwich College, which PGW attended from 1894 to 1900, there was and is a Latin inscription carved into a tablet of black marble over the door of the College chapel (in the center of the original Dulwich buildings, half a mile from the mid-19th-century campus buildings better known today). The author of the inscription was the Rev. James Hume, Schoolmaster of the College from 1706 to 1730. “Some trace of gold colouring” can still be seen in the incised letters. VII° Cal. Decbris, A. D. MDCXXVI. He organized the college with sufficient, ample resource. Would administer the thing well. On November 25th, 1626 A.D.
To “put someone on the spot” means to place them in a difficult situation (since 1928). In the sense of diplomatic agreements which usually follow prescribed standard wording called formulas / formulae. The song is generally interpreted as a call to remember old friendships. A baseball idiom. A strong pitch is a good (fast and accurate) throw of the ball by the pitcher. See Uncle Fred in the Springtime. A deluxe hotel, at the time located on the corner of Piccadilly and Berkeley Street, London, opened in 1867 and renamed the Berkeley in 1897. In the 1920s it became one of the first London hotels to be air-conditioned. The present hotel at Wilton Place, Knightsbridge, dates from 1972. Meaning they will not talk about the past. A sealed book is one that cannot be opened or read. And the vision of all is become unto you as the words of a book that is sealed, which men deliver to one that is learned, saying, Read this, I pray thee: and he saith, I cannot; for it is sealed. That is, an artillery shell of high explosive power. A delicacy that is also known as truite au bleu. Refers to trout that is so fresh that it turns blue when it is cooked. One method is to start with live trout, club it on the head, remove the internal organs, poach in hot court-bouillon (a special broth used for poaching fish and seafood) in a special fish kettle and serve immediately. On approval. A purchase on appro. means that the customer may return it for a refund if not satisfied after a trial use or examination. See Summer Lightning (title of chapter 2). We will learn later in this conversation that Monty has money of his own, and in Chapter Six just how wealthy he is. A hollow square is an infantry formation that was popular in the 18th and 19th century. Drumming out refers to a dishonorable discharge from the military to the sound of drums. This is an example of PGW combining two images to form a more evocative one. Money supposedly given by fairies that turns into rubbish when put to use. Something that appears to be beautiful or full of promise but is in reality nothing but illusion and disappointment. The man who makes himself a slave to gold is a miserable wretch indeed, winning for his prize the “Dead Sea apple” — golden without, but ashes within. Be optimistic or cheerful in spite of difficulties. The OED defines bluebird as a symbol of happiness. endure a painful or otherwise unpleasant situation that is seen as unavoidable. whom thou in sacred vow dost join in one. The phrase refers to an hourglass, in which sand trickles from the top of the hourglass to the bottom through an opening until it has run out. PM, afternoon hours. From pip (“P”) + emma (“M”) in RAF WWI signalese. L’addition — French for ‘the bill’ as transliterated in some textbooks for English-speakers unfamiliar with the nasalized French pronunciation of -on. a gallant knight. From French. In the early 14th century, Franciscan missionary Friar Odoric brought to Europe the story of an enormous carriage that carried an image of the Hindu god Vishnu (whose title was Jagannath, literally, “lord of the world”) through the streets of India in religious processions. Odoric reported that some worshippers deliberately allowed themselves to be crushed beneath the vehicle’s wheels as a sacrifice to Vishnu. That story was probably an exaggeration or misinterpretation of actual events, but it spread throughout Europe anyway. The tale caught the imagination of English listeners, and by the 19th century, they were using juggernaut to refer to any massive vehicle (such as a steam locomotive) or to any other enormous entity with powerful crushing capabilities. An utter defeat; referring to Napoleon’s rout in trying to conquer Russia in 1812. From at least the Middle Ages until the early 20th century, a man’s promise of engagement to marry a woman was considered, in many jurisdictions, a legally binding contract. If the man were to subsequently change his mind, he would be said to be in “breach” of this promise and subject to litigation for damages. Ignored socially by the upper-class residents of the county. Possibly a reference to the book by that name, written by Mary Elizabeth Braddon, who is famous for writing Lady Audley’s Secret and other sensational novels in the mid- to late 19th century. The phrase appears in an untitled poem by T. K. Hervey on the topic of Athens. The poem is included in a collection by Hugh William Williams called Select Views in Greece, Volume 1 (1829), p.77. Not feeling as well as normal. In golf, par is the number of strokes a first-class player should normally require for a particular hole or course. In finance, par is the nominal or face value of a security. Also said by Bertie Wooster in chapter 2 of The Code of the Woosters. A play on ‘diamond of the first water’. One of various trains from London to Blandings that PGW refers to in the various novels. Chapter 5 makes it clear that this one is an express, not stopping at every little station, but it may seem surprising that Market Blandings is large enough to be served by an express train. This topic deserves an essay of its own. Felix Mendelssohn (1809–1847) composed his Wedding March in C Major in 1842 as part of a suite of incidental music to Shakespeare’s play A Midsummer Night’s Dream. It is a popular wedding march and is at least as often heard arranged for a church organ as in its original orchestral version. A reference to the wording of Anglican wedding vows. Alcohol, of course. Here, a reference to pre-dinner cocktails. Like Aladdin and the magic lamp. Jinn is a loan word from Arabic where it is a plural noun meaning supernatural spirits. It is commonly anglicized as genies. In medieval times (up to the 17th century), women sometimes carried concealed knives or daggers inside their bodices for self-protection. Here Ronnie means something else, more like a pang of jealousy. A more poetic way of saying ‘knife through the heart’. He could not say what he would have liked to. Than to my peril speak that which is not. You will find the details elsewhere in the archives, specifically in Summer Lightning (Fish Preferred), chapter II, § ii, and chapters XVIII–XIX. Hussy actually derives from hussive meaning housewife, but over time has evolved into a derogatory term meaning a brazen, immoral woman or impudent girl. Painted here refers to the fact that in the early 19th century, respectable women did not use makeup but actresses and singers did. Like fine old crusted port. Fr. Rob Bovendeaard’s Biblia Wodehousiana traces this to the Bible [Job 39:25] without identifying a specific translation. However, the U.S cavalry had a well-defined set of bugle calls by 1867. A number of them were meant to be sounded while the soldiers were riding to direct them to change pace or direction. For more, see https://www.secondcavalry.net/bugle-calls. Who dotes, yet doubts—suspects, yet soundly loves! That is, finished dressing. See Right Ho, Jeeves.